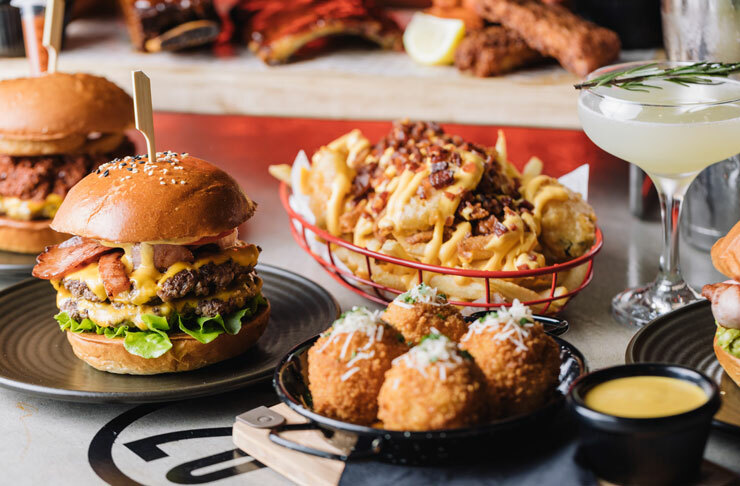 You can’t walk 500 metres in Melbourne without running into the latest burger shop, and that’s definitely not a bad thing. Ever since Melbourne found itself gripped by an American food revolution we’ve never found ourselves going hungry, and while the classic fish and chip shop burger did the job in the past (and still has its place) there was always the opportunity to take burgers to a whole new level and Brooklyn Depot does just that. Heavily inspired by old school Brooklyn recipes you’ll find everything you expect on the menu. The classic staple burgers are here, from the Brooklyn Classic which features Grass fed beef, American cheese, oak leaf lettuce, fresh tomato and Depot special sauce to The Depot Burger which is piled high with two beef patties, double American cheese, hickory smoked bacon, grilled pineapple, oak leaf lettuce, fresh tomato and of course it’s topped off with the Depot special sauce—we definitely recommend. 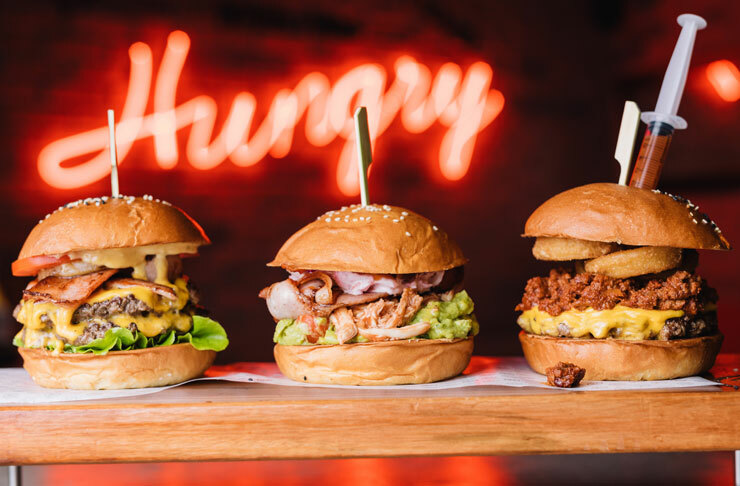 Besides burgers, there's a selection of Hot ‘Dawgs’ of which you can choose between a beef or pork sausage, and have flavour combinations ranging from The Reuben to a Philly Dawg which resembles your class Philly Cheesesteak. Sides are prevalent, Mac ‘n’ Cheese which is topped with bacon bits and spring onions (throw in some Truffle for a couple of extra $), charred corn, bbq pork ribs, hot wings along with fries which you can “Brooklynise” by ordering the Garbage Fries where they come loaded with bacon, onion strings, cheese and frickles (fried pickles) or go for the beef chilli cheese fries or stick with your favourite Poutine. On the refreshment side of things you’ll find a fully stocked bar that will keep you sorted until the early hours or grab a Depot Shake which come in PG and AO (18+) versions and contain a multitude of sweet combinations. Brooklyn Depot definitely has everything you’re ever going to need on a night out, and if you’re into American sport it’ll be set up on the TV so you won’t even have to move. They offer delivery (via UberEATS and Deliveroo) if you’re lucky enough to live close by, or you can pick up as well. Want to keep on top of all the new openings in Melbourne? We’ve got you covered right here.